He may not be an engineering genius, but Mr. Jove's take-charge philosophy guarantees that he and only he is responsible for everything the Thundermachine armor does. Charismatic and intellectually capable, he puts his best foot forward in dealing with the challenges of the 21st Century. Troubled by the question of his own responsibility for the uncertain future, he at this point has resigned himself to independent hero-work, accruing more and more capital by means of his meta-powered excursions. If he can use his wealth to bring American civilians some peace of mind, then it's just a bonus. Though he's marketing-friendly, there's no doubt that his encouraging statements made to the general public are actually authentic. Jove's greatest contribution to the global atmosphere thus far hasn't actually been the Thundermachine brand, but rather X-Tech, the private corporate think-tank which backs his superheroic activities. X-Tech rose out of the science-panic of the early 2000s in which concerns over the international governments seizing scientific research for military use came about. Though they were able to regulate genetic engineering, they could not acquire the designs of Dr. Hermes Bell, Jove's closest associate and initial designer of the Thundermachine armor. Jove is both the chief sponsor and user of X-Tech's designs; his concern that the government may attempt to seize private assets for use in metahuman-based wars is a driving factor in his public activities, using his celebrity status to raise awareness to injustices. He also is wary of those vigilantes with non-public identities who may seek to dominate society in their own way. Toeing the line between state-sponsored hero and independent avenger, he wears the Thundermachine armor with outward pride and inward concern. Beyond his actions in the suit, Jove donates regularly to various charities and sponsors engineering projects internationally. He has used celebrity status to appear in several advertisements for various products as well as license the Thundermachine brand to produce toys and media related to his project. X-Tech's primary product for public consumption is refined renewable energy sources, moving away from the weapons-manufacturing era that lasted from 1990 to 2007. Because most of the weapons innovation is now pooled into the Thundermachine suit, X-Tech gets much of its funding from investment in the stock market as well as myriad connections with other members of the global elite. The Thundermachine Armor represents the cutting edge of modern technology, the ulltimate confluence of scientific development and super-styled flair culminating in the creation of a wearable weapons platform capable of competing with even the most powerful biotic agents. What started out as a fighter jet scaled down to a suit of armor has evolved over the last five years into a high-powered mech suit packed with dozens of separate devices. The primary chassis is built of fullerene nanotubes with an external titanium layer, affording the wearer a significant degree of protection against physical impacts. An internal temp-dampener prevents the user from overheating or overcooling, with a series of polymer composites lining the inside to prevent chafing. This fibrous "wet-web" serves as an additional buffer against physical trauma that would otherwise be incurred on the wearer of the suit, protecting them from crash-landings as well as intense G-forces. The armor is vacuum sealed and contains a persistent oxygen supply which replenishes itself passively when air is available. The user's breath is filtered to prevent contamination. The armor's power source is derived from a precious tritium base coupled with electrical batteries for secondary components. This radioactive main battery is located within the chestplate and gives the user enough power to operate for prolonged periods of time in extreme situations. For baseline functions, the armor can extend solar-energy collection panels to bolster its own batteries. The tritium core can last nigh-indefinitely, but if the suit is overtaxed, it requires time to cool off. 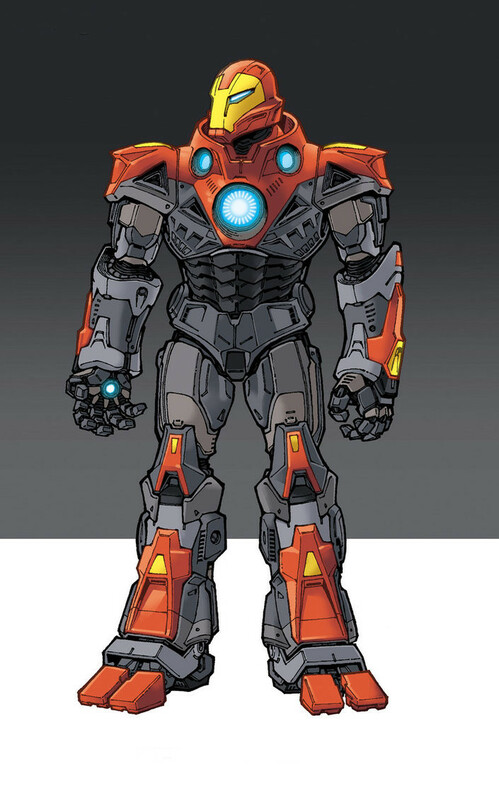 The armor's enhanced chassis and muscle-fiber mimicry give the user vastly enhanced strength, rendering them capable of pressing objects with forces of around 100 tons. 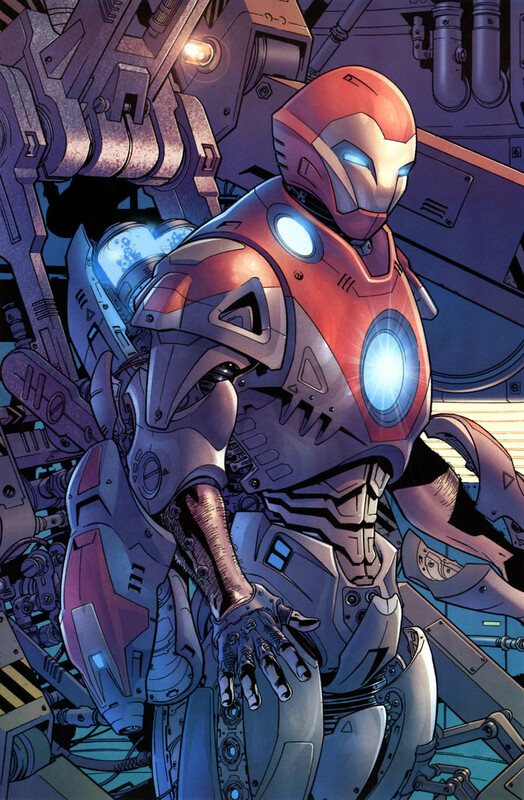 The suit flies using high-powered "force tubes" located in various components. These release valves project enough energy to create thrust when directed downward. 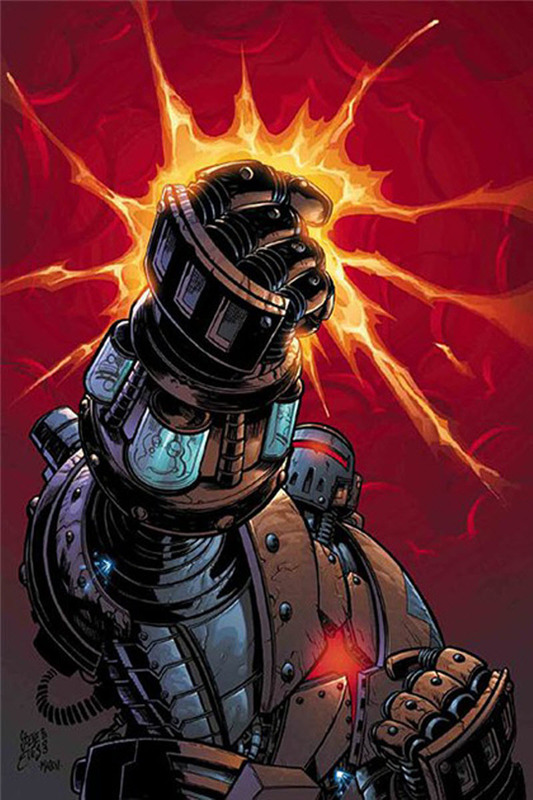 Each palm of the armor boasts its own smaller maneuvering emitter which doubles as a kinetic force-blaster. These blasters can project luminous beams of concussive energy for nearly 500 meters at varying degrees of intensity, repelling or even incinerating anything they strike. These emitters are also used for advanced aerobatic maneuvers which put even the most advanced fighter jets to shame. The armor's maximum speed appears to be around Mach 4 when afterburners are engaged; these spare fuel-burning engines are stored in compartments in the back of the suit. An onboard computer system with a rudimentary real-time management AI connects the wearer to the suit, operating off of retinal movement. The suit's more refined systems are managed not by the machine but by Ground Control at X-Tech, which is in constant contact with the user. The crew can interact with other systems using this OS, hacking remote networks directly and giving the user the equivalent of a 6th sense. This OS keeps track of the user's vitals and can conduct in-flight repairs. The OS can be switched to both a pre-set autopilot as well as manual control back at Ground Control, letting the technicians back at X-Tech control the suit if the user consents. Neither of these systems are required for full functionality, though; the suit can be operated completely manually. Though auxiliary systems may be lost in the event of a power blackout, the pseudo-hydraulic muscle layer beneath the fullerene chassis means the user can still move even without power. The OS can operate via voice command or retinal selection. The Thundermachine "pit crew" is composed of twenty technicians, engineers, physicists, and weapons designers who are bankrolled to exclusively aid Carter in his superheroic venture. They are led by chief engineer Hermes Bell, who holds half of the rights to the design along with Jove. The in-the-field workers are nicknamed Ground Control, and help guide Jove during field operations. Their network helps Jove manage the suit; they also conduct intelligence operations and research threats in-mission. They manage the armor from X-Tech Headquarters, a building situated off the coast of New York City. A complete Thundermachine suit costs around 200 million dollars to produce. Carter Jove owns four. Miniature Gatling Guns - Left and right wrists. Ammo type - fullerene bullets with homing capability. Directed EM pulse emitter - right fingertip. Napalm projector - right wrist. High-range sonics projector - left and right palms. Can also function as speakers. Refined cutting laser - right middle finger. Neural stun laser - left middle finger. Electroshock taser units - left and right knuckles. Anti-rad force-field projector - right forearm. Tranquilizer gas - releases from left elbow. Extendable fullerene blades - left and right forearms. Length: 11 inches. Homing rockets - Left and right shoulders. Chaff - Left and right shoulder blades. Supercooled liquid nitrogen projector - left wrist. Magnetic field projector - left shoulder. Targeting computer & predictive CQC simulator - helmet. Advanced scan / thermal vision / target-tracking device - helmet. Your CS doesn't need to be as in-depth as this one; I just like a lot of details for my own. As long as the general bio is there, it's good enough for me. You guys know the drill. Last edited by Thundermachine on Fri May 25, 2018 2:40 am, edited 1 time in total. Resource Level: Limited-High (Limited access to high-level resources, conditional on circumstances). Base of Operations: The Safehouse (Washington D.C.). Skills: David is a highly intelligent individual, having designed the neural interface between his eyes and brain personally, as well as the eyes themselves. He lacks any sort of actual combat skill, wholly relying on his eyes for combat. Equipment: David's 'eyes' are miniature nuclear reactors, powered by a small piece of plutonium, and wired directly into his brain. He controls them intuitively, like a dozen extra limbs. They have a number of unique properties, including being able to fire high-powered energy beams, project an energy shield that can defend against most any attack, and levitate David. The eyes can manipulate electromagnetic fields, allowing them to give David the appearance of telekinesis, tossing around heavy objects with ease, and even ripping people in half. The eyes are also, predictably, eyes. Their video feeds are wired directly into Odin's brain, allowing him to see what they see- and that includes in every possible spectrum of light, allowing him to see through walls, or skin. Persona: David Taggart was a talented inventor, who refused a number of lucrative offers of employment from large tech companies after graduating an Ivy League college. Despite being at the top of his field at a young age, he found himself at a loss as to what do do with his life, being ethically opposed to working for massive corporations. The answer to this question came in the form of another intelligent individual, who had some interesting ideas about unique applications of David's technology. The two built the O.D.I.N. technology, and David volunteered to be the first, and ultimately only, recipient of the procedure. With his all-seeing eyes, David became Odin, named after the norse deity, and set out to make right the world. Dmitri is a ruthless man in every sense of the word. He is an old believer in the regimes of Lenin and Stalin, the rule of absolute communism. He grew up in those tumultuous times in Russian history, when the Tsardom had been overthrown and the people "ruled" the country, but in name only. Stalin's horrific misuse of power led to the deaths of millions, but it also gave rise to the Soviet "Sverkhchelovek", or "Superman", Project. Dmitri had been mortally injured in the streets of Stalingrad following the Nazi advance, but his rank as colonel granted him a chance that no conscript could dream of. He was put into the Sverkhchelovek Project without consent, as he would have died regardless. His body became grafted with highly experimental biomechanical organs, which were necessary for his integration into the Tsar-class Dreadnought armor the Soviets designed for him to wear. These implants caused him to exponentially grow in size and strength (and also prolonged his lifespan) by order of magnitude. The Red Tsar armor is not the source of his formidable strength, but rather merely weapons systems, defensive plating, and flight capabilities. Every centimeter of strength-enhancing hydraulics have been converted to space for added protection or weapon housings. Dmitri alone is capable of lifting more than 100 tons, and his upper limits have not been explored. The Dreadnought armor is made more to endure Dmitri's power than anything else. Layers of ceramic and plasteel plating keep him insulated against most attacks, but are also designed to keep from shattering when the Red Tsar hits something with considerable force. With it, he is also capable of breathing in complete vacuums. The weapons systems are streamlined for a heavier influence on Dmitri's striking strength, to reduce drag from the presence of heavy missile arrays and such. As a result, most are retractable into the armor itself. Enhanced Durability: Alexander's body is more resistant to physical injury than humans. He withstood blows from superhuman foes, electrocution, several gunshots and puncture wounds, as well as a fall from several stories, or a mile drop after been released from a boost jet-pack and survived. Enhanced Reflexes/Endurance: Alexander's reflexes are borderline superhuman and rival those with a more renown caliber. He is fast enough to dodge multiple gunshots at close-range simultaneously. Alexander also exhibits extreme pain tolerance. He was able to endure temperatures below -40 degrees when he climbed mountains without aid supplies. He can also hold his breath underwater for longer periods of time, and physically exert himself for several hours before any toxins begin to impair him. Peak Human Strength: Alexander's strength is enhanced to the peak of human potential and he is strong enough to break a solid wall with a single punch, as well as lift a man over his head and throw him. On one occasion, he effortlessly destroyed a titanium attack android with a single kick, and easily used a large table as a weapon; furthermore, this strength extends to his legs, enabling him to leap several times high eight out in a single bound, and smaller heights into the air without a running start. Northern Shaolin/Hung Gar: The two external styles are based on extending the body and long, aggressive techniques that explode and drive through the opponent. Northern Shaolin dates back to the year 527, and is the origin of many martial arts. Many of Shaolin's movements come from nature, utilizing the behaviors of various animals and the five Chinese elements, wood, fire, earth, metal, and water. Shaolin teaches students use their energy to penetrate their opponents, sending it forward for thousands of miles. Hung Gar is a mix of the Tiger and Crane animal styles. This style uses deep, low stances, such as the hose stance, and strong hand techniques. Hung Gar is one of the more external styles, but also practices some internal movement. Emphasis is put on having firm, solid stances. The more connected to the Earth one is, the more power they will have. Among these two styles lies a third; Southern Praying Mantis. It is a close range style that focuses the arms while keeping leg work to a minimum, using low and short range kicks. Like Hung Gar, Southern Praying Mantis originates from southern China. Practitioners strengthen the arms and keep them extended in order to reduce the recoil needed to gather energy for the next strike. This style was inspired by a mantis defeating a bird, and is apparent by the footwork that Southern Praying Mantis utilizes. These styles of kung fu combined with the immense power behind Vex's stike cause devastating blows that are far beyond deadly, but destructive with the capability of destroying walls without scathing his skin. Sambo/Greco-Roman: A master practitioner known for three things: takedowns that combine wrestling and judo maneuvers, ground control skills, and leg locks. Depending on the style of Sambo, striking may also be taught, such as in the case of Combat Sambo. However, it is primarily a grappling art that focuses on takedowns and submissions. Sambo teaches practitioners how to end fights quickly. This is often done by taking an opponent to the ground and applying a fast submission hold or strikes. As a wrestler, being adept at controlling and pinning his opponent is imperative. Greco-Roman fighters are well known for their physical strength, both with grips and with squeezing in the clinch. Weapon Arsenal: Dual static escrima sticks. Darryl Davis always loved what his country stood for, the american dream, and the american way. Today he considers himself a living embodiment of the American Dream, working his way through his hardships. He powered through the social discrimination that came with being a person of color and having a mutation all the while never losing sight of his dream. To this day he maintains the thought process that if someone wants success they should work for it no matter how hard they have to work; even if they have to work harder than others. This ideal is easily view able through his own history of starting poor with a single mother and ending up a high ranking member of the Freedom Brigade. Now he uses his role to ensure the world is a safer place and understands believes that regulation of heroes is the only way to ensure their powers aren't abused. He considers those in X-Tech to be too cocky for their own good and those who identify as strangers to be unsavory potential threats. Darryl's main power comes from his ability to create and manipulate small magnetic fields through the use of different frequencies. To put it simply he has developed a mutation that allows him to create magnetic fields that move when he whistles in ways that are based on how he whistles. He uses these to keep himself in the air as well as direct the path of his flight and shield travels when he throws it. His body itself was enhanced beyond his own magnetic mutation through the use if an engineered virus known as Alpha Minor. This virus hardens muscle tissue to make it stronger enhancing the users physical capabilities(strength, speed, durability) and affecting the mind(processing time). However, the virus slowly eats away at the infected if not maintained through the use of Serum-Y. To maintain flight he utilizes the F4L-C0N glider pack issued to him by the Freedom Brigade. It's equipped with two mechanical wings that can be moved in a wide variety of ways due to a large number of opposable joints that grant nearly 360 degrees of movement. The 'feathers' are crafted of an impact absorbing titanium alloy while the joints themselves are just titanium. There are two thrusts located on the back of the suit that aren't used for lifting into the air but rather, they grant him short bursts of speed. He usually maintains a flight speed of around 75-99 mph but, when he uses the thrusts he can maintain speeds of up to 130 mph for a maximum of four ten second intervals before needing to refuel. His shield is made of the same material as his feathers and is his main tool for combat outside of his own prowess with hand to hand combat. While he is no expert he was the best hand to hand fighter in his company during his time in the marines not to mention his ability to work his wings and shield into combat makes him a formidable foe up close. He does carry two Magpul FMG-9's in the F4L-C0N but, he prefers to use non-lethal force. E4GLE-EYE Optics or EEO is the name given to the goggles he wears on his head that provide him with a variety of visual functions. They can stream video back to HQ, take photos, Zoom in on targets, switch to thermal lenses, X-Ray lenses, and protect his eyes from blinding weapons like flash bangs. His last piece of gear isn't an item but rather a pet Hawk named Ronald Reagan or RR for short. RR doesn't do much fighting but, he does act as a scout when Darryl needs him to. Last edited by Chevron on Tue Apr 17, 2018 7:29 pm, edited 1 time in total. The daughter of poor immigrant parents, Teja grew up hearing about how many fantastic opportunities were available in the United States, and from an early age developed a strong sense of nationalism. While she would never be one of the natural geniuses, Teja is nonetheless quite intelligent, and in school stayed near the top of her class at school through hard work and diligence. Her passion was always for science and engineering, and most of her peers expected her to graduate high school and enroll in one of the top engineering schools. Teja's passion for country won out over her passion for engineering, and she chose instead to pursue a military career. Her hard work and her I will do anything to succeed attitude quickly caught attention, as well as her ability to tinker with the often unkempt-and-malfunctioning military equipment, and after two years Teja was quietly invited to participate in a government sponsored program, during which she was subjected to experimental procedures in an attempt to give her special abilities. Naturally discussion of the procedures is classified information, so it is no surprise that Teja does not discuss them, but those higher up in the ranks are aware that the procedures were extremely unpleasant, and had both a low success rate and a low survival rate. Teja, however, was able to beat the odds. By the age of 21, she had adapted to her enhancements and was recruited into the Freedom Brigade. Teja's main power is the ability to act as a power source. She is capable of storing an immense amount of power within herself, and of using it to power different devices. She works most directly with Research and Development, acting as a field-tester for different weapons and devices that are created by team scientists. As most soldiers aren't able to carry around a private reactor system, most of these devices are of the "proof of concept" variety, and unable to be mass-marketed. Teja's love for engineering has served her well in this role as well, as some of the devices which she is given to test don't always work, or don't always work in the way they are supposed to. She often has to modify her equipment on the fly, trying to adapt it either to the specific situation or merely to a situation where the equipment does anything at all other than explode. Given her role, Teja's exact equipment is always changing, depending on what the government has decided to assign her for any particular mission. 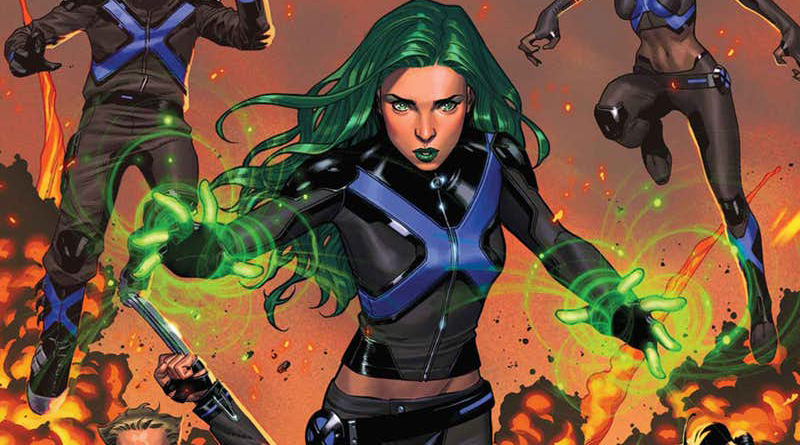 She almost always wears a light-weight uniform capable of absorbing any backlash from failed devices, including defense against explosions, electric shock, nuclear radiation, and low-level impact resistance. While Teja's power source ability can be immense, it is also finite - like any battery, she will eventually run out of charge. Once that happens, she is incapable of powering any special devices until she has a chance to recharge - either naturally over time, or at a special government station built for the purpose. She carries a standard assault rifle on the battlefield in case this comes into play at an awkward time, but the government has made it clear that when her power level zeroes, Teja's primary mission is to extract herself immediately. Being a part of the Freedom Brigade necessitates a public identity, and as such Teja's role as "Capacitor" is a matter of public record. She is not particularly interested in her own popularity, but she accepts it because it helps the government for her to be a public celebrity. Given Teja's innate emphasis on diligence and hard work, as well as her spirit of nationalism and her squeaky-clean record, she makes an excellent public role model for the government to portray, and is often held up as a paragon of virtue and model citizenship. Héctor Jiménez is dead. A monster remains. Low, due to his status as a [albeit unwilling] serial murderer and target for experimentation. He makes due with whatever he has. Late 40s at time of mutation. Aging process has halted significantly, if not entirely. Have a seat. I'm going to tell you a story. There's a tale that mothers tell their children, in various tows and cities in Mexico. It rose in popularity due to the spree of killings that occurred across the country in early 2018. Héctor Jiménez was a small boy born to a house of 4 in Medellín, towards the tail-end of fall. Ever since he was un niño, he had the idea in his head that he was going to help make the world a better place. When he grew older he took up an interest in medicine and the sciences; eventually, his resolved that he was to become a doctor and travel the country, helping poor villages and communities in need. Through demonstrations of his intellect and the achievement of high marks throughout his high-school career, he was able to attend la Universidad Nacional de Colombia and complete his Bachelor of Medicine degree. The 80s and 90s marked a period of major strife in Colombia, sprouting from the conflict between various cartels within the region and influence from the CIA of the United States. Medellín, the city that housed the university in which Jiménez studied and earned his degree at, was a major area of operations for these cartels. His expertise in medicine, particularly the synthesis of pharmaceutical drugs and vaccines, made him a prime target for branches of these cartels in cocaine labs around the country. There were rumors circulating that pharmaceutical doctors had been regularly kidnapped by the Cali and Medellín cartels in order to boost quality and oversight of their product, but Jiménez never directly believed them, let alone thought that it would happen to him. But it did. There's a sense of compliance that arises in one's mind when a gun is pressed to the back of their skull. For Jiménez, the choice was either working with the Medellín Cartel in the creation and refinery of narcotics, or a gruesome execution. Naturally, he chose the former. The doctor's captivity went on for about a year and a quarter before Escobar was shot and killed in the city he once essentially ruled over. As la Policía Nacional de Colombia liberated the small bunker lab the doctor had been held in, the reality of the world dawned upon Jiménez. The cycle would continue, and various other cartels would fill the vacuum that the Medellín variation left. Tyrants could exercise their power as much as they saw fit, but their empires would crumble at some point. Escobar was gone and the Medellín cartel began to disintegrate, yes, but a new tyrant had stepped in the moment his previous captors had left: the United States. Their bargain? Come work for us, or spend the rest of your life in a 7 cubic foot cell. It wasn't that hard of a decision; the United States didn't seem so eager to throw away a top mind in Colombia, and Jiménez wasn't eager to throw away his life out of spite. The doctor traveled to the US and completed his MD, and was immediately placed into a branch of the CDC that dealt with infectious diseases and treatment options. Life remained easy and relatively boring for Jiménez over the next two decades, and he liked it that way. He found it easier to work in an actual lab rather than among dirtied equipment and barely-paid workers, and he showed his gratitude by developing various patents for treatment of chronic illnesses. In 2003, he married an American woman by the name of Grace Davison, becoming Grace Jiménez, and in 2005 had a son by the name of Cristián Jiménez. For all intents and purposes, the life the doctor had made for himself was a good one. For almost anybody else, the 25th of April was just another date. Jiménez considered it a turning point in his life as it was the day he was diagnosed with a rare neurodegenerative disease that had caused cancer-like tumors to form in his brain. He was lucky enough to remain relatively unimpeded by the onset of these tumors, though a pressure on his frontal lobe changed his personality. He became incredibly distant from once-close colleagues and friends, and the progression became so drastic that he stopped spending time with his family entirely. Jiménez became absorbed in his research, intent on finding a cure for his disease. After all he had been through, this would not be how he left this Earth; he had too much to do. His entire life, he had been railroaded and forced into what he had to become. And now, when he finally felt happy for the first time in decades... everything was about to be taken from him. What he also realized was that his son was at a substantial risk for the disease. If it was to affect Cristián, there had to be a cure made. Jiménez reasoned that his devotion to a cure, even a treatment for this disease would be worth it solely based on the reason that his son could have peace of mind. The change in personality for Jiménez led him to become increasingly paranoid in his last few months of service to the CDC. The thought of the United States repossessing his work and marketing it was always in the back of his mind following the diagnosis and subsequent spiral, and it came to a tee in mid-October of 2017. Not only had the US government expressed a need for claiming his work, but other corporations came to him with offers— even threats— for his research. Jiménez knew that if those in power couldn't acquire what they wanted by peace, they would take it by force. So he fled, like a coward. He couldn't take his family, no, that would have been to hard on them; so he left alone, facing an uncertain future with nothing but a trial schematic and diagram of the treatment for synthesis at a lab. He could trust nobody in the United States, so he fled south of the border. To Mexico. His time in South and Central America had opened up connections. Earned him favor with the right people to supply him with what he needed. He just prayed that the cheques en blanco wouldn't bounce. Thankfully, he found refuge in Mérida on the Yucatan Peninsula. Jiménez was able to set up a rudimentary lab and began the synthesis of his "cure". It took months to perfect the physical form, and the end result was a red-tinted liquid that even Jiménez himself didn't have confidence in. A quick trial on lab animals with the relatively same affliction he had revealed that it miraculously eliminated all traces of the diseased tumors and rebuilt the structure of the damaged brain. He cried at the results. What he didn't account for, however, was time. After finding that the disease's effects were reversed, he immediately prepared an IV with the fluid and began transfusion into the bloodstream. That was when he noticed that the rats he had tested began to act strange. Violent. Turning an odd tint of color, growths sprouting from their bodies and twisting around them. Mutating them. By the time he realized the horrible side-effects, the IV had been emptied. He quickly incinerated the remains of the corrupted rats and prayed to God his case would be different. It came in distinct pulses, emanating from the site of the intravenous cannula and radiating outwards through his entire body. The doctor grabbed at the inside of his arm, desperately applying pressure to contain the hemorrhage of blood from the place of injection. Crimson poured down his arm like a fountain and stained the concrete ground beneath him. Jiménez rushed to the door of his lab but collapsed halfway across the room, his legs refusing to work. His muscles began to twitch and spasm. After the pain was an intense heat, as if his blood was raised to a boiling point throughout the entirety of his veins and arteries. His blood came alive, thrashing around inside of him and breaking open into organs and skin. Blood oozed from his eyes, mouth, nostrils, ears. It came from underneath his fingernails, from his hair follicles. Any place it could escape, it did. A question flashed across the doctor's mind for a brief moment before being swept away in a tide of suffering: how am I still awake? How am I still alive? 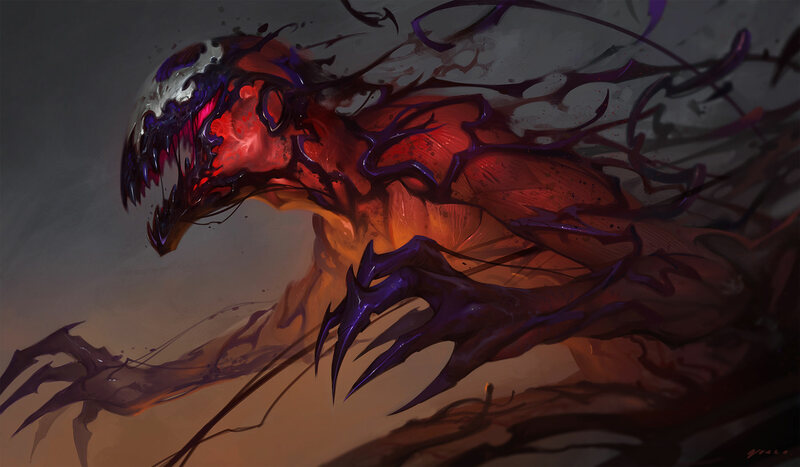 The seeping blood coagulated quickly once on the surface of his body, becoming a writhing, crimson mass of tendrils and stretched tar that began to systematically cover his body. Somehow, through the fog of indescribable pain, Jiménez began to inch towards the doorway, hand toppling over hand to grab the ground and propel himself further. With each passing attempt the hands which he once called his own became alien in appearance, digits blackening and lengthening into sharp talons. The burst veins within his body turned black in appearance, distinguishing themselves from the red hue that had overtaken his body. Arms cracked and lengthened somewhat, though the pain of these mutations were lost in the wave of fire that had spread across his body. Jiménez screamed in pain, though no sound came out beyond the morbid coughing of blood. Teeth became sharpened knives, stretching and warping into fine razor-sharp points. The living blood that had coursed over his body soon enveloped his eyes and face, blinding him completely before finally reaching his brain, sending him spiraling into darkness. For a moment, the doctor was completely brain dead. Death would have been a welcome escape from the redounding waves of pain that crashed through him upon awakening. He screamed again, sound finally exiting his unrecognizable mouth; a horrific hiss escaped into the night air, and anyone in the area would have thought it to be some sort of animal. Vision returned to the thing, as did control over its body. Desperately, it clawed its way towards a mirror that sat above one of the lab's many counters. Pitifully, it managed to raise itself and stare at its reflection. What stared back at him was a demon. In a sick, twisted way, the serum had cured him. It had caused his neurodegenerative disease to increase in scale tenfold, affecting his entire body and spreading the cancerous growths until they were the only thing that remained. He, himself, had become the disease he had worked endlessly to cure. The jagged and horrific mutations came as a result from the rushed synthesis of the cure, as not enough care was taken to properly documents its complete effects. To think that he would have avoided a fate worse than death had he just waited a small bit longer was insulting to him, and the one thought of self-destruction he held in his mind as he succumbed to his transformation. Hector Jiménez died that day. What took his place was not a man. It may have held the same memories, the same emotions, but it was something else entirely. A physical manifestation of a plague, the antithesis of what Jiménez stood and fought for. At the onset of 2018, a series of random killings began occurring in rural Mexican villages and towns. The trend showed a path upwards, towards the United States border; the evidence left at crime scenes was an unidentified black substance, which after close examination was found to be dried blood belonging to no known organism. The quick deterioration of this substance left no time for analysis or study. As a result, mothers began to warn their children at night. Before bed, they warned of a diablo rojo that would visit their nightmares and impose upon them an incurable sickness, one that would only serve to cause them agony and suffering. Once the last killing had ended in El Paso, the story faded from relevancy; however, the myth of the "crimson plague" prevailed. Ten Cuidado con la Plaga Carmesí. Following the horrific accident in Mérida, Jiménez as he once was had died. The man who, at a point, would have done right by his family, no matter the cost, was gone. The doctor is now noticeably paranoid in his conversations and reasonings. His innate fear of others seeing his mutated form leads him to completely stay away from social circles and populated gatherings, which in turn has contributed heavily to the gradual unwinding of his mental state. The entire ordeal has pushed him to the brink of sanity; what composure he retains is due to the need for survival, and the far-fetched hope that one day he might be able to cure his affliction and return to the life he once knew. Despite all these impeding factors, he still retains his brilliance. The man is no savage, and realizes that his appearance is heavily... off-putting to most members of the populace. He was a quiet man before the horrific mutation; he is an even quieter one now. There are points where, if his anger has risen substantially, he slips into bouts of hysteria and becomes a primal force of terror and aggression. Trauma has also proven to cause these lapses of reason and intelligent thought. Though he doesn't know the exact reasoning as to why, the manifestation of the disease in his brain and the serum's effect upon it is a likely culprit. He's likely to warn others if he feels himself slipping into a state of hysteria. There has been a notable decrease in Jiménez's empathy. Seeing as he was behind a wave of killings through Mexico, one could assume so without much background. The doctor's devotion lies solely to secure his research from meddling hands, something that has already started in the wake of his apparent death. His family, however... still holds a spot in his heart. As a result of the serum, Jiménez's blood had mutated into a highly volatile, cancerous substance that spread throughout the entirety of his body; this is due in part to the method in which the serum was injected. His entire circulatory system was compromised as a result of the cure's intravenous delivery. The changes, as far as Jiménez has observed, are irreversible by conventional means. In addition to a superior intellect caused by the growth of his brain and skull, Jiménez's mutated body boasts an extremely efficient method of regeneration. Given the advanced regeneration of cells that the serum afflicted Jiménez with, he is able to come back from most injuries in a matter of minutes. Limb removal, depending on level of severity, can take hours to days to completely heal. He shows an increased vulnerability to fire, seeing as incineration was his method of killing off lab-tested animals affected by the serum. The chitinous plating around his body and head protect very well against varying degrees of attacks. Head injuries, while within the realm of possibility for regeneration, take a substantial time for his body to recover from. While physical recovery takes the standard amount of time for other limbs, the memory loss and lapses in mental clarity take longer for his body to find and rectify. After a suicide attempt a few days following his mutation, he was left without memory of his family or identity for around two weeks. It was during this time that the killings in Mexico were the most frequent. In addition to regeneration, Jiménez can produce chitinous tendrils that are able to break through varying degrees of metal and armored plating, depending on the time and effort given. When destroyed or broken off, the available pieces retreat to Jiménez and reform around him. He can produce varying sizes of these bladed tendrils, depending on the amount of biomass he can devote to them. In addition to sharpened forms, Jiménez is able to control slack and slithering variations of these tendrils for non-combat purposes [e.g. sliding limbs under lock doors to open them, covering cameras]. Each piece of biomass separated from his body is still considered a connection to his body and can return at any time. Given the slight adhesive properties of the substance making up his body, Jiménez is able to attach these distended tendrils to surfaces and pull himself towards them, allowing for increased mobility. Among the boosts to Jiménez body is the increased sensitivity of hearing and eyesight, the former of which is affected the most. The drawback of this superhuman hearing is his susceptibility to concussive and sound-based attacks directed towards his body. He can forcefully cover his ears with the malleable biomass covering his body, but his hearing is still affected nonetheless. Agility has also increased in his new form, as has speed and strength. "In recent news, a string of gruesome killings has effected Mexican communities over the past few months. Originally starting in the Yucatan Peninsula, the trend shows an upwards— if not sporadic— travel towards the United States. The CIA has issued—"
"— el suspechoso llamado Hectoro Jiménez, un cientifico farmacéutico que huido a Mexico delos Estados Unidos. Examinacion de los restos quemado en una facilidad de almacenamiento que el convertido en un bùnker—"
"— is this man still alive? We do not know. His research and laboratory have been completely torched, and the unidentified remains of one man that fits the doctor's profile were recovered. It seems a highly unlikely chance that he is involved in these murders. "Dr. Jiménez's defection to Mexico was sudden. It was speculated that he was working on a cure for an advanced and rare form of Huntington's Disease. It was also confirmed that cancerous tumors had developed in his brain. All of his research had been torched, and the US Government is working to find and claim any remaining schematics or patents that the late doctor had designed. Alex Janisse, CBS evening news. Good night." The cure for cancer, people had called it. As if that was what I had created. No, I had made something far worse— I attempted to play God, and I suffered the consequences. People jumped to conclusions about how I had been assassinated, or that I had found the cure and faked my death. Those rumors were true, partly. In a way, Jiménez was dead. I am the only thing that remains of him. The United States will have found out about the body in my torched lab. They will have found out that it was a fake, planted there as a way to throw them off for just a while. Enough for me to get to the border. From there, it was only a matter of beating them to my stored research. I'd communicated with my wife; sent her vital documents. A copy of my research. I made her promise to keep it a secret, lest it fall into the government's hands. Or worse. I have no doubt that there are those out in the world who would want me, too; experimentation, biopsies on a live source would be the best method of studying. I would have to prevent that from happening, too. I've gone on too long to start trusting my superiors. I just... pray that my wife kept her end of the bargain. The Freedom Brigade, during the long course of its existence, had an unsurmountable amount of members roaming throughout the world, upholding the beauteous flag of justice so many innocents endear even to this very day. Between those many prominent visages, proudly puffing their chests, a name was not very well known between colleagues and fans alike: Ghost. 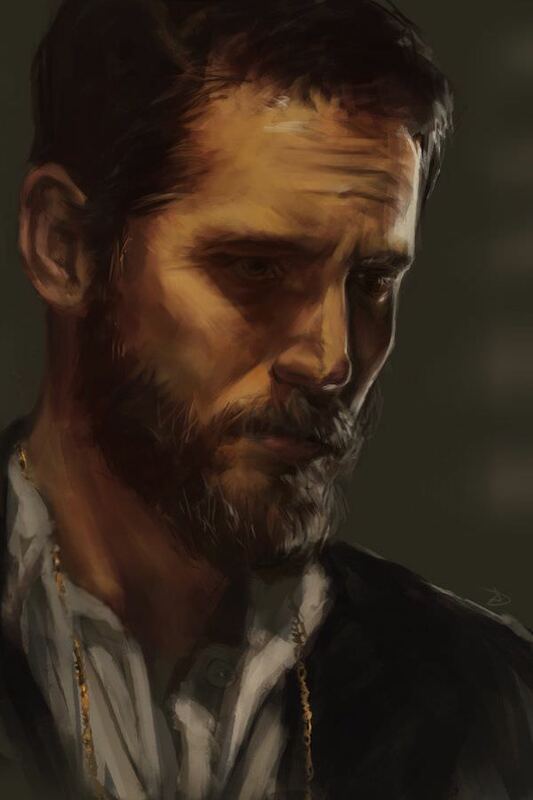 Drake Wallis Junior, to those who had met him during his earlier years, was a charismatic man, one who could fill the room with positiveness just by stepping into it. A hard-worker, a team player, and one who could always be counted on to swimmingly lift everyone's spirits, Drake took pride on his inherent skill to lead his squads to greatness. Those who knew him would always speak in high praise, highlighting how his seemingly tactical genius would eventually lead them to victory, and how, despite of all adversities, all obnoxious sights they had to endure, he was the one strong link standing. The unbreakable paragon of justice, clad on his dark armor-like suit, shining light onto their paths again. The mask did a flawless job at keeping his masquerade, letting the cameras focus on the empty eyes of an ambulant carcass, devoid of any positive thoughts. As far as those who worked within the Brigade were concerned, Ghost had always been a leader and an aspiration to them, yet not a single person realized he was but a symbol. Not a man of many words, or even friend for that matter, nobody could possibly witness as he fell into a pit of helplessness. It didn't help his situation to be ultimately confirmed dead during a failed mission, leading his team inside what would eventually become a slaughterhouse. Drake isn't the heroic figure most saw him as, he is a disturbed man, utterly aloof to many emotions the common man will repeatedly demonstrate. Behind those jaded eyes, there is nothing but extreme regret, and it sometimes wears off on his voice. Personally, Drake is the definition of a loner, never seeking contact and always lost in thought, his serious gaze will most of the times be recognized as a sign of an aggressive personality, but he can't quite help it. If there's one thing anyone can tell about him is he's a troubled soul, years amidst what most would consider inhuman carnage left scars on his mind that couldn't possibly be fathomed. Harm that transformed the figure everyone once knew. He's now but a man fighting a war he declared himself, unsanctioned due to his dissatisfaction with the government, unbeknownst to others due to his death at the hands of the media. After many years sulking, he ultimately understood: you need scum to kill other scum. 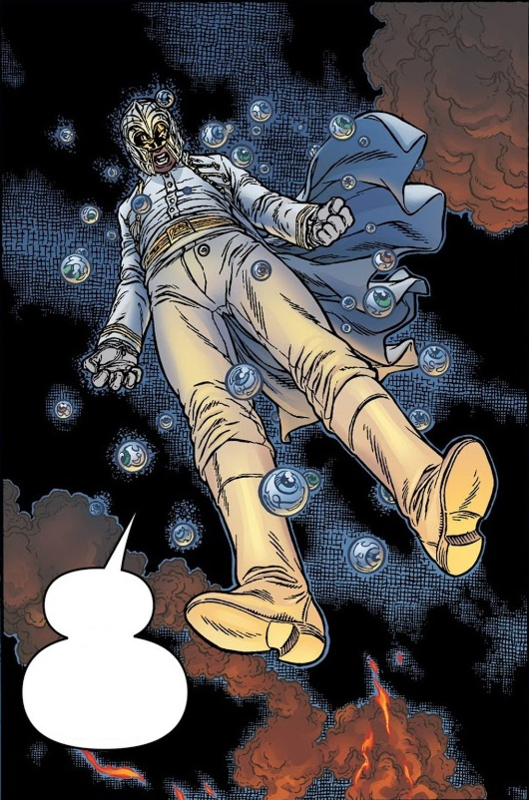 Drake's abilities took a major strike during his last mission, as he was found with fragments of metal puncturing his skull in many different places, which eventually led to the loss of substantial amounts of power. Still, he can basically control the impulses of another human being's brain, even if nowadays it exerts its toll the more complex the moves he attempts, that way being able to completely alter behavior of the mind or body. He can have, for instance, someone's arm to be entirely paralyzed simply by turning off the impulses that would lead it to move, or simply hasten the production of chemicals that cause fear, or even change a person's perception entirely by having their brain process information erroneously. It needs great focus to be accomplished, hence why he resorts to firearms to be truly effective. However, even if some of it got taken away, his loss triggered an unquenchable desire to find ways to improve himself, which would eventually lead to the discovery of a secondary use of his power: applying it to himself. In a way, Drake can make the most out of his bodily capabilities by fiddling with his own brain, either using it to heighten his senses through extra doses of adrenaline or turn off his pain receptors for a continuous time. It does exert a toll on himself too, but unlike the painful headaches, these come, most of the times, as illusions of a not-so-distant past.